Angelus Temple is the first church founded by the International Church of the Foursquare Gospel, and fully supports its statement of beliefs. Bordering beautiful Echo Park in East Los Angeles, this growing church brings a message of hope and advances God’s kingdom by serving the inner city’s physical, spiritual and many other needs. 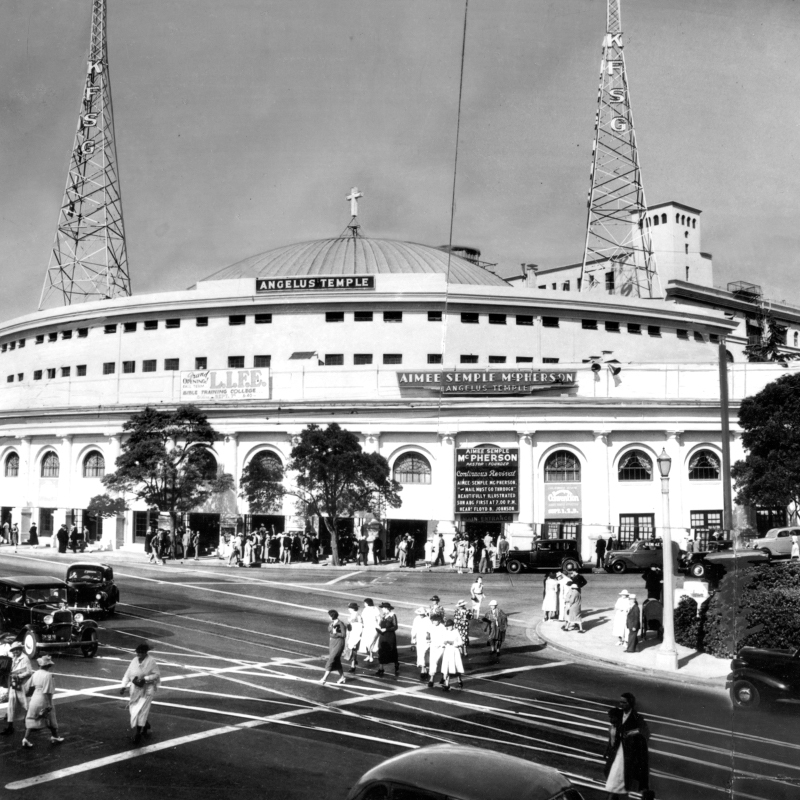 In 1918, evangelist and social advocate Aimee Semple McPherson felt called by God to travel West and lead a church in the heart of booming Los Angeles. Just five years later, she founded Angelus Temple, preaching four essential Biblical truths: Jesus Christ was The Savior, Baptizer with the Holy Spirit, Healer and Soon-Coming King. 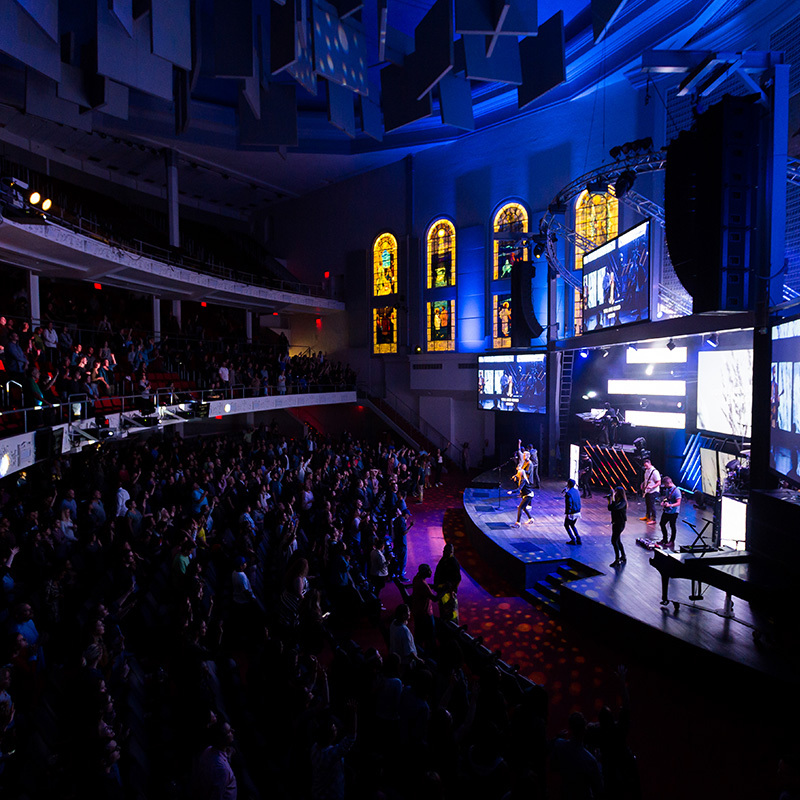 (This new Pentecostal denomination soon came to be called The Foursquare Church.) Amidst extreme poverty and social upheaval, McPherson passionately preached God’s hope and healing power, leading countless city-wide initiatives to care for the hungry, homeless and broken. Continuing this legacy of service, Angelus Temple will celebrate its 100-year anniversary in 2023. For history, tours and museum hours, please visit Foursquare’s Heritage Center page. Pastor Matthew Barnett arrived to the City of Angels in 1994 with a dream to lead an unconventional church. He envisioned a church open 24 hours a day, 365 days a year, serving the inner-city’s physical and spiritual needs. And so what began as serving homeless on the sidewalk, soon transformed into the Los Angeles Dream Center: a resource center with transitional housing programs, food bank outreach programs and more. Five years later Pastor Matthew married the love of his life and Dream Center volunteer, Caroline. For years, the Dream Center held church and outreach services in an old gym. As crowds grew each week, Pastor Matthew prayed that God would provide another site nearby. God answered his prayer, and in 2001, Pastor Matthew and Caroline became the senior pastors of Angelus Temple. The two now lead the Dream Center and Angelus Temple, reaching more than 50,000 people weekly. Both have been individually recognized by leaders, the media, and fellow organizations for their outstanding contributions to the community. 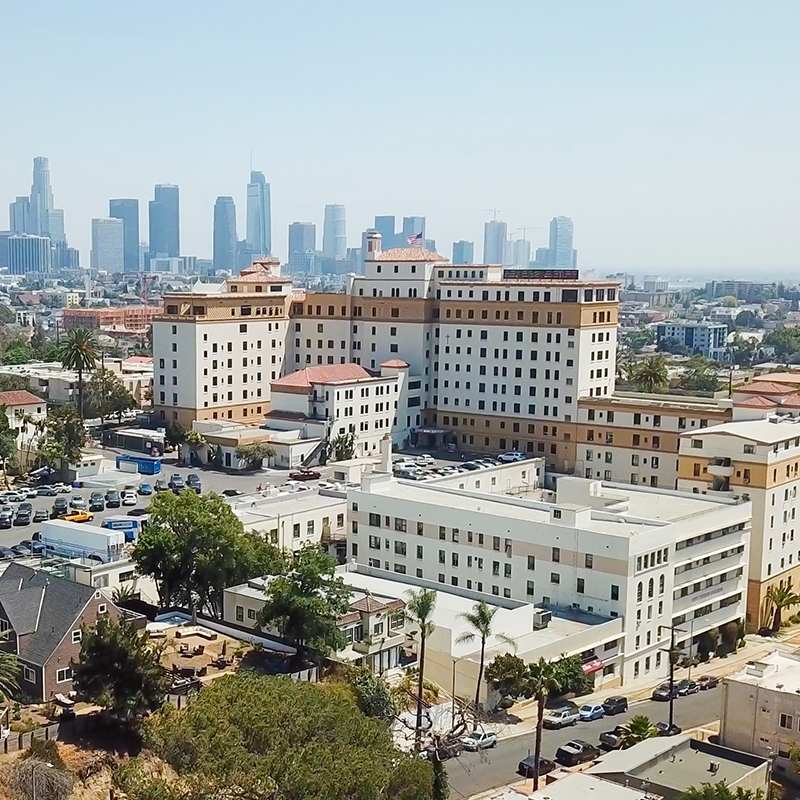 The Los Angeles Dream Center is a faith-based non-profit organization located in Echo Park, dedicated to transforming lives and the underserved communities in the city of Los Angeles. By offering residential and outreach programs to individuals, families and communities in the areas of homelessness, hunger, poverty, addiction, domestic violence, education, and human trafficking, the Dream Center is committed to enabling immediate and long-term transformation. The Dream Center welcomes those in need into our community completely free-of-charge with the resources, training, and support they need, regardless of faith, age, gender, orientation, nationality, or any other defining factor. Angelus Temple church members are encouraged to volunteer at the Dream Center, while all Dream Center residents participate in Angelus Temple church services.